What’s the best flooring to use for a rental or flipper house? Finding success in real estate investing has a lot to do with striking a good balance between renovating a property well while keeping your costs low. Flooring is one of those things that prospective tenants or buyers will certainly pay attention to. I mean how can they not? Flooring is everywhere. Making your flooring pop doesn’t have to cost you a ton of money. In fact, there are some relatively inexpensive ways to install new, great looking flooring that will make your rental or flipper property really stand out. I’m going to cover 3 of my favorites in this post. 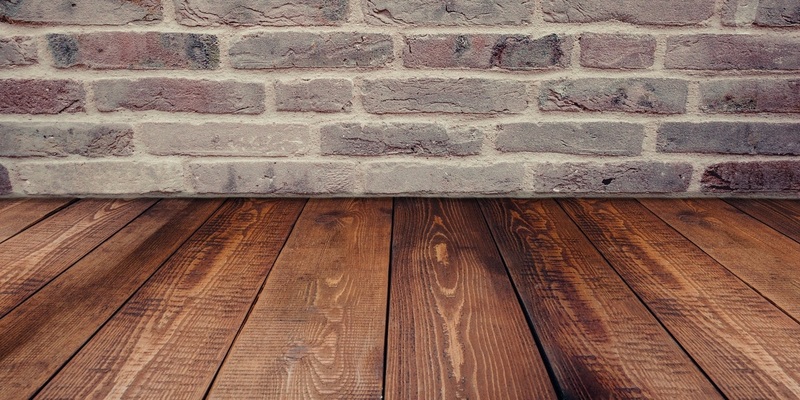 If you’re restoring an older home, and the hardwood floors are in tact, don’t cover them! Restoring hardwood floors is inexpensive, they look beautiful and people love them. You can easily restore hardwood floors in just a few steps. Fix any damaged areas & remove nails, staples, etc. Sand floor with belt sander, and use a smaller edge and palm sander for corners and edges. Vacuum and wipe down the floor once you’re finished sanding. Here’s a great YouTube video that walks you through refinishing a hardwood floor from start to finish. In my opinion, carpet is a great choice for a flipper but likely a bad pick for a rental property. If you use carpet in a rental, you’ll likely be replacing it every few tenants. For a flipper, however, carpet can be a great option, and places like Lowes or Home Depot frequently offer promotions where the installation is practically free. In fact, I just carpeted a flipper, and they only charged me $7 in labor to install 700 square feet of carpet! Can’t beat that. Just make sure whoever you use to install your carpet gives you an itemized breakdown of all the charges. You may be able to cut costs further doing some things yourself such as pulling up the old carpet and preparing the subfloor for the new carpet. Peel and stick vinyl is my new best friend. It looks terrific, it’s easy to install and relatively inexpensive. I recommend peel and stick vinyl for flippers or rental properties. The great thing about using peel and stick vinyl in a rental is if the tenant damages part of the floor you just have to pull up and replace the damaged tiles instead of replacing a larger chunk of the floor. Check out this YouTube video for more on installing peel and stick vinyl flooring. Turning your investment property floors into something fantastic that adds property value doesn’t have to cost a lot of money. Consider the three flooring options I’ve highlighted in this post to help you inexpensively add a lot of value to your property.